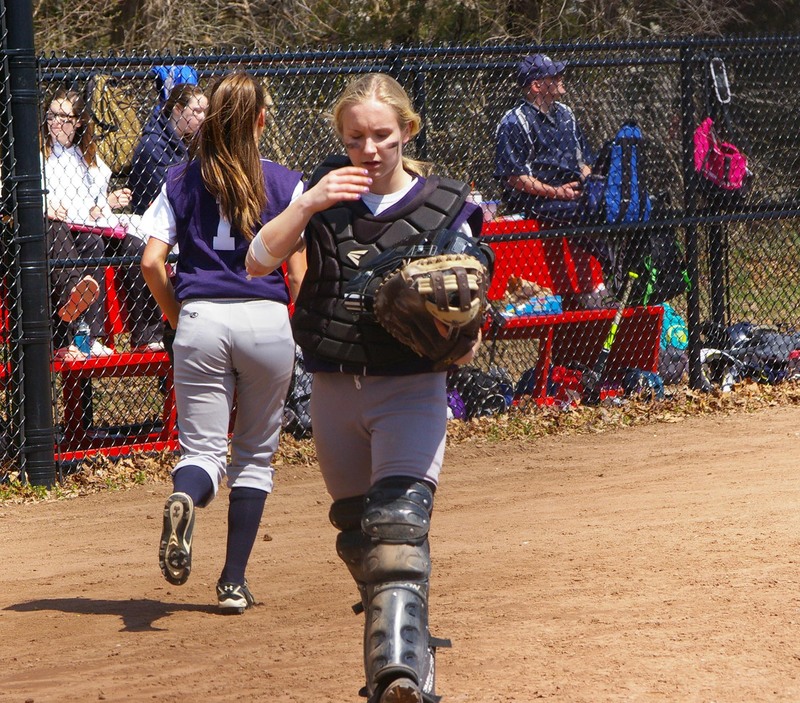 As spring arrives, the bats and gloves come out for the girls softball team. With last season’s record of 7-13, the Lady Dogs will be looking to improve, with the goal of making the tournament in mind. Coach Sharon McGonnigal’s goals include not only making the tournament, but also winning the league. Having graduated Brianna Starkey, a key player for the softball team in recent seasons, the team is going to need to fill her role. Competing against the usual rivals such as East Bridgewater, Abington and Hanover, the girls are going to use their strong work ethic to their advantage in preparing for these matchups. In addition, tough non-league competition helps to prepare the team. “Those are [East Bridgewater and Abington] the teams that have been in the top tier. We’ve been in the top third. If we’re there, I’ll be happy,” said Mrs. McGonnigal. With more girls trying out this year than in the past four years, Mrs. McGonnigal is hopeful, not only for the success of the season, but also for the development of the program as a whole. In addition, there are fielding positions that are up for grabs. “Everyone has an opportunity to earn their spot. No one’s position is set in stone,” Ms. McGonnigal said. Fielding positions will be determined by other skills such as batting, softball IQ, and game preparedness. According to Mrs. McGonnigal, the mental aspect of the game is just as important as the physical. 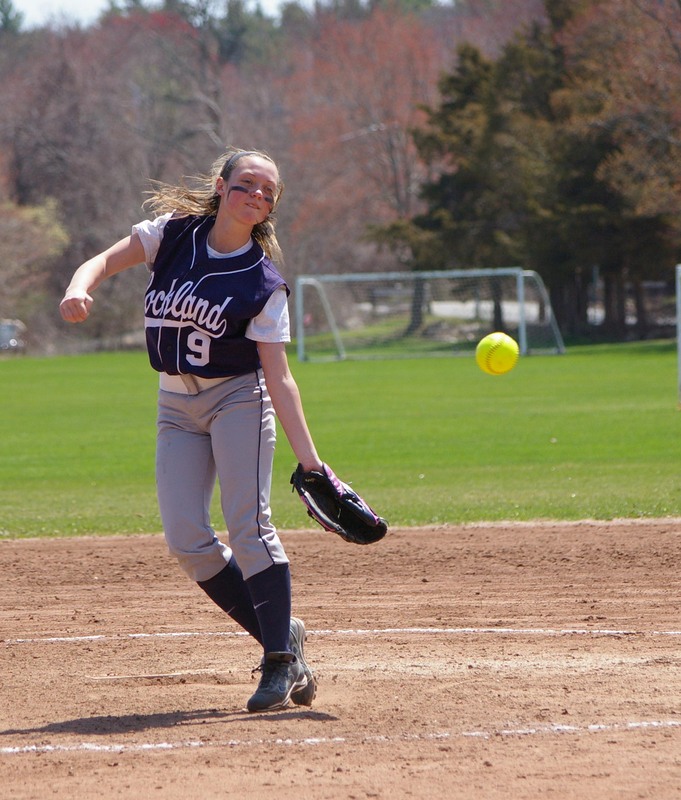 “If we can improve that [softball IQ] then we can win the league, make the tournament and win a few games in the tournament,” said Mrs. McGonnigal. Senior captain Angela Turner expects her team to make it to the tournament and to “be the team that other teams fear” by working hard and having excellent team chemistry. As a captain, Turner has goals to be a leader on and off the field. “I want to be a very approachable captain that people enjoy being around who my teammates can always come to, or any other captain, if they can’t make it to our coach,” said Turner. She personally hopes to become a more powerful hitter and to get on base more than in past seasons. Both Turner and Mrs. McGonnigal agree that the team’s batting will need to improve in order to be successful. One advantage for the team is having two experienced varsity pitchers, juniors Ali Sammon and Erin Buckley.“Not every team has that. 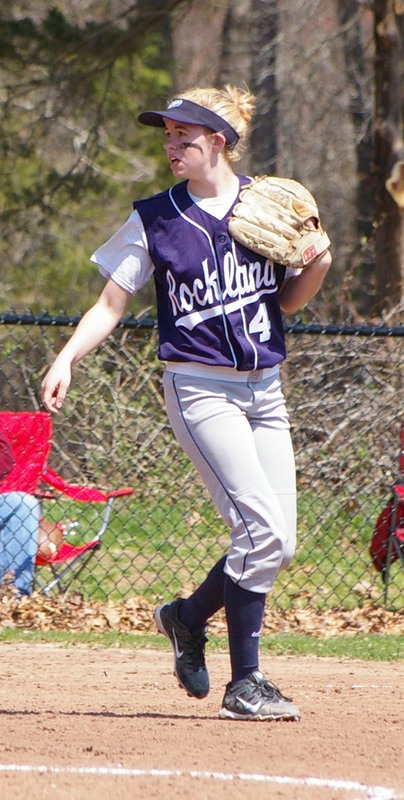 For a coach, having two pitchers is a nice option,” Mrs. McGonnigal said. Making the transition from a JV to a varsity team is going to be a welcome one for the girls lacrosse team. This being the third year Rockland has had a girls lacrosse team, they are now eligable to be a varsity team. Coach Lauren Rizzotti expects the whole atmosphere of the team will change. “I think the bar will be higher, practices will be more competitive, and hopefully kids will be more dedicated,” said Miss Rizzotti. Her goal for the season will be to break a .500 record. Although it is unknown exactly what the girls will have in store, Ms. Rizzotti is hopeful that based on how well they did last year, that they can be successful this year. This year the girls will be pushed harder during practices than they have been in past seasons as a result of struggling with conditioning during games. Junior captain Emily Beatrice said their biggest problem last season was being in shape. According to Miss Rizzotti, overall stick skills and speed are going to be the major improvements the team needs to make this season. The biggest strength of the team is the overall desire to push themselves and improve. Beatrice’s personal goal for the new varsity team is to prove to the rest of the school that the team should be respected and can compete with any team on their schedule. In addition, she personally aims to become stronger using both hands with her stick skills. She is also going to bring her leadership and communication skills to the team as a captain. Beatrice said the team excels at finding a balance between working hard and having fun. Since many players on the team have played on the JV team together for the past two years, Beatrice expects to use that chemistry and apply what they’ve learned to win varsity games. The team will be seeking revenge on Abington this year. “We believe they will be our number one target,” said Beatrice. In addition, North Quincy has been added back onto the schedule, and they hope to compete with them. Miss Rizzotti said that the games against Norwell, Duxbury and Cohasset will let them know how good they really are. The goal for the girls tennis team, like every year, is to be competitive. However, for Coach Rich MacAllister, the more important goal is to get the individuals who’ve been working hard in past seasons into tournament matches. Mr. MacAllister also wants to see more girls compete in practice to play in matches. This way the starters don’t become too comfortable and the non-starters have motivation to get themselves into a match. According to Mr. MacAllister, players to watch this season will include senior Kyra Rose, who alway competes well, and doubles partners, seniors Lexi Carchedi and Caroline Kilduff. Senior captain Sam DeMarco says she is looking to improve her overall record from last year, develop a more consistent serve, and end every game satisfied with her performance. As a senior she strives to offer positivity on and off the court. DeMarco credits her success in tennis to her positivity. An overall strength of the girls is having passion. “Every girl that goes out there and plays wants to win,” said Mr. MacAllister. Before the girls’ first practice on Tuesday, March 22, Randy Grimmett, head girls track coach, said he was pleased with the pre-season sign-ups for the team. Grimmett also said the team looked “promising” and that their strength would be youth. Despite the many young players, several veterans will be back including seniors Sarah Margolis, whose strength is in distance events, and Sam Aylward who will compete as a sprinter and high jumper. In addition, junior Colleen McCarthy has experience as a hurdler. Sophomore Lily Matson looks to compete as a high jumper and Kelsey Willett will compete in the hurdles. The task ahead is to get ready for their first meet against an always strong Norwell team on April 4. Despite not having a winter indoor track program as other teams do, Mr. Grimmett expects the team will work hard to be ready for a competitive season.